Ohio is composed of 88 counties, one of which is Shelby, named for General Shelby of Kentucky, who was involved in Indian Affairs in this locality. 1819 is the recorded date for the start of Shelby County. The county was subdivided into townships, one of which is Jackson which lays in the north eastern corner of the county. Jackson Center started May 4, 1835 with 24 lots. 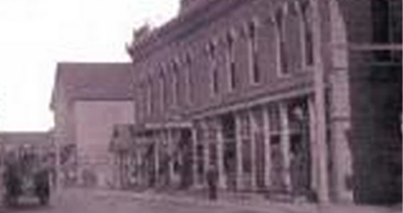 Businesses in the area included dry goods stores, a shoe shop, a blacksmith shop, an undertaking and wagon shop, a cabinet maker, a hotel known as the Carter House, Heinler Hardware, a drug store, a bicycle and musical instrument shop, a restaurant, a bakery and ice cream parlor, a seamstress, a hat shop and a well equipped dental office. There was a newspaper published by J.G. Sailor. Two early physicians were Dr. Holsten and M.M. Carter. At one time as many as five physicians served Jackson Center and the community. They were Doctors Carter, McBurney, Ailes, McCormick and Mollie Hawver. The earliest church, the First Methodist Church, was started in 1838. The Seventh Day Baptists organized on March 22, 1840. Another early church in the Village was the Church of Christ. 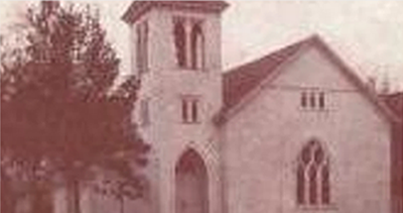 Grace Lutheran Church was organized around 1921. In 1946 the Seventh Day Adventist Church was built. Jackson Center was incorporated November 7, 1894 and the first Council met on April 9, 1895. In June of 1895 the first bank of Jackson Center was organized under the name of The Farmer's & Merchants Bank of Jackson Center with Shelby Baughman as president. 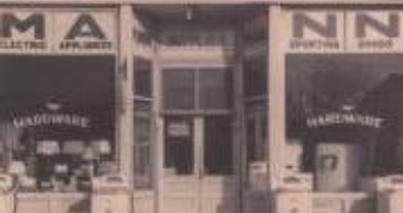 The first account was opened by the Jackson Center Elevator Co. After a service of two years, the cashier died and was succeed by Frank Baughman. F.M. Wildermuth became assistant cashier. In 1907, the institution was reorganized and became the First National Bank of Jackson Center. Around 1890, a college was built west of the D.T.&I, railroad. The college was financed by local citizens using solicitation. Shelby Baughman served as president of the Trustees of the school. A man named Professor Heck was in charge of the curriculum. In a newspaper account of the dedication, the writer editorialized, "It is the only institution of its kind in Shelby County and Jackson Center is a most desirable place for an institution of its kind." Over 140 students, who finished the courses, went on to teach in the surrounding area. The college lasted only fours year. Records of early schools are vague. Some believe that German pastors presided over parochial schools first, but the immediate settlement of Jackson Center was Seventh Day Baptist people rather than German Lutherans or Catholics. One room elementary schools dotted the rural area around Jackson Center with a high enrollment. This enrollment varied with the type of farm work because boys and girls did help parents at home. As many as 50 pupils attended each of these schools. These pupils were grouped by how well the individual could read, not by age or grade. One school was built around 1902. There were 6 rooms. The 3 downstairs rooms housed the first 8 grades. The upstairs rooms served the high school. The primary room was located by a stove until 1912. The remainder of the building was heated by furnaces. A faculty of 5 to 6 teachers instructed the entire school. The present high school building was built in 1926 and 1927. The village has been the home of different fraternal bodies. Epler Masonic Lodge began working in Montra in 1872, but it moved to Jackson Center in 1877 and became the Jackson Center #458 Free & Accepted Masons. In 1901, Eureka Chapter, Order of the Eastern Star was instituted. The I.O.O.F. and the Daughters of Rebecca were instituted , but each of these disbanded after fires destroyed their hall. The Ladies American Club organized in 1895 and has continued through the years. They changed the name of the group to The American Club, but their objectives have remained the same. The most outstanding project was organizing the library and providing a building for the books. This was made possible with the cooperation of the area citizens and the Amos Library in Sidney, Ohio. Throughout the years the people of Jackson Center have found many ways to keep entertained. Home town musicians got together and organized a band, not only for their own satisfaction, but to give street concerts during the summer months, and lead parades on Memorial Day. On Saturday nights ice-cream socials were held on church lawns. They served homemade ice cream and cake. There was a picture-house that showed silent movies to the patrons. 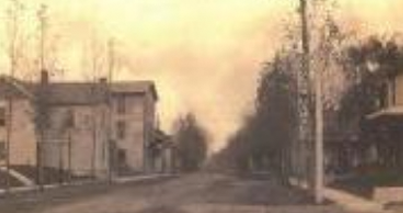 Although Jackson Center was one of the last Shelby County settlements to be established, the village grew rapidly. During the 1930's, the village's water and electric utilities were installed. Today, Jackson Center is the only Shelby County municipality to own its own electric system. The 2010 census figures show a population of 1,462. That makes Jackson Center one of the largest Shelby County villages.